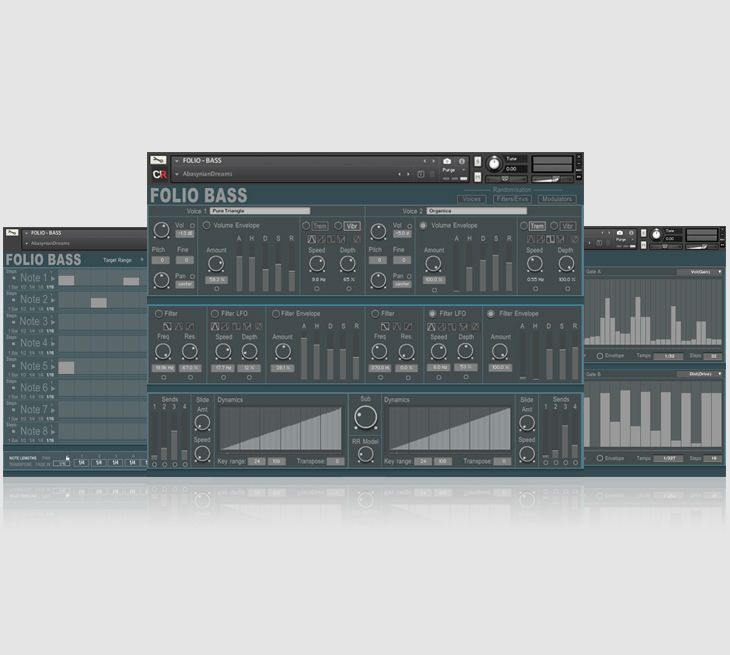 Welcome to Folio - Bass, a dual voice ROMpler aimed squarely at Bass sounds. Our starting point are the 300 instrument samples included in Folio - Bass, these were meticulously recorded, edited and mastered using our analogue valve based system, including passing each sound through our dedicated 1970's Akai valve pre-amp and then copying everything through our Revox B77 tape machine loaded with vintage (but pristine) british Zonal 675 tape. It's a long, slow process but we think the resulting sounds are worth it. Next the Folio - Bass instrument is equipped with many "classic" synthesis controls, like envelopes and filters, and these add to the capabilities Folio - Bass has for sculpting and shaping modern innovative and original sounds quickly and efficiently.